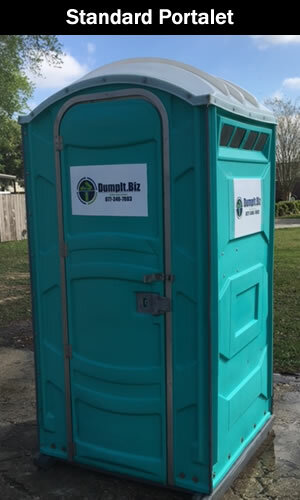 Portable Toilets & Port-A-Potty Rentals - Dumpit.biz Lafayette LA. 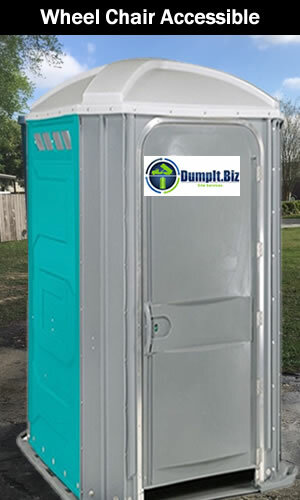 Our standard portable toilet rentals are ideal for residential or commercial construction projects. When deciding on the number of restrooms needed for your next commercial or construction site, ANSI standards suggest one portable toilet per 10 workers for a 40-hour work week. All portable toilets are delivered by our dependable team members. Allow us to provide restrooms for your next project or event. 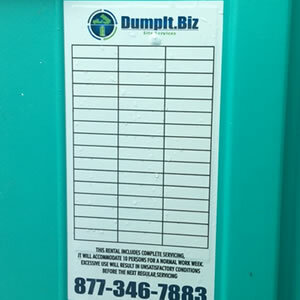 Our standard portable toilet rentals are ideal for residential or commercial construction projects. When deciding on the number of restrooms needed for your next commercial or construction site, ANSI standards suggest one portable toilet per 10 workers for a 40-hour work week. All portable toilets are delivered by our dependable team members. Featuring a roomy interior, our Deluxe Portable Toilets are the most popular portable toilet rental for special events. 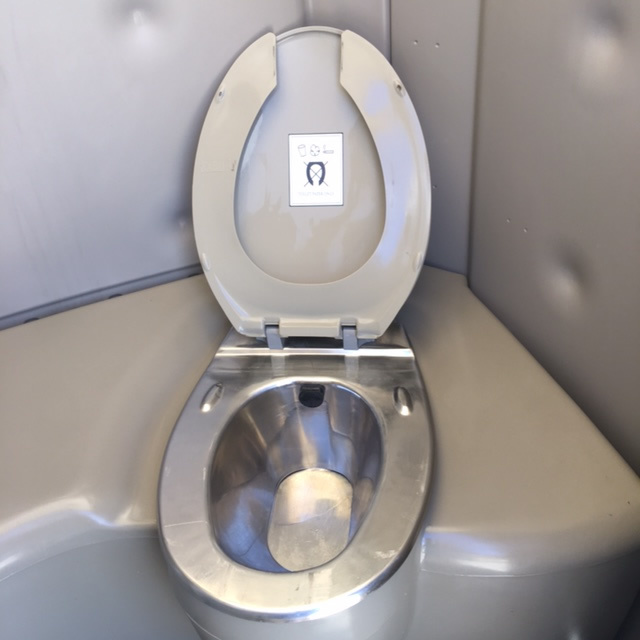 Clean, like-new equipment goes through meticulous 9-Point Service plan to ensure your restroom rental arrives in pristine condition and is kept sanitary throughout your project. Wheelchair restrooms are designed for wheelchair maneuverability and also are popular at family oriented events because their spacious interior accommodates parents who accompany children to the restroom. We offer a modern and extensive fleet of portable sanitation, temporary fencing and many other solutions to meet all of your site needs. 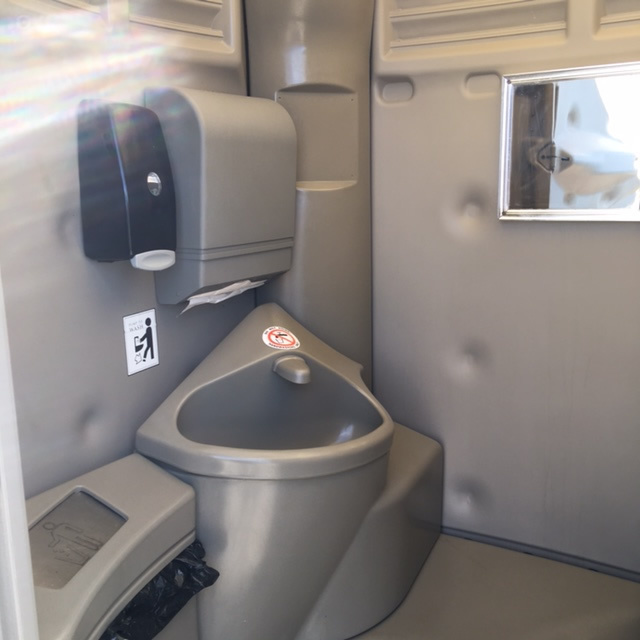 Our portable toilet rentals undergo a rigorous pre-delivery cleaning and inspection process before your rental is delivered. 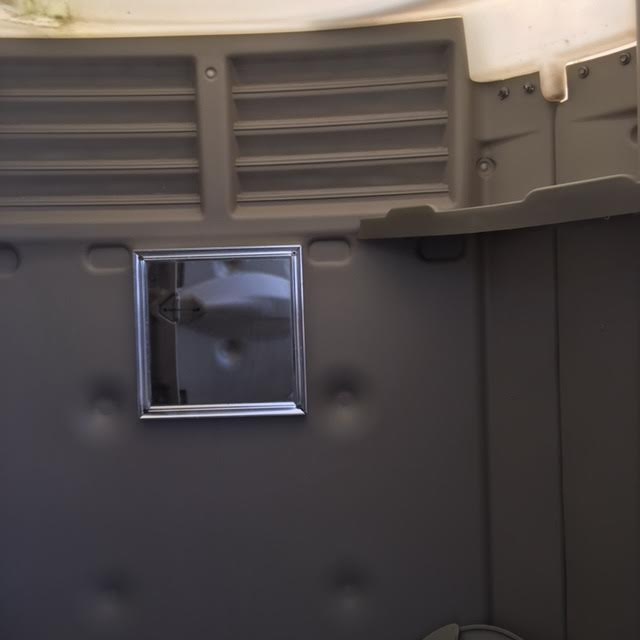 Our porta potty rentals are constantly evaluated to ensure their condition is satisfactory. Standard A.D.A. Compliant Flushing. 1.Restroom to be placed in a convenient and accessible location on level ground. 2. Holding tank will be evacuated and interior debris removed. 3. Holding tank will be refilled with earth-friendly deodorizer. 4. Interior walls, toilet seat, urinal, the exterior of holding tank, paper dispenser and the floor will be sprayed with disinfectant, cleaned & dried. 5. Interior will be sprayed with a special deodorizer. 6. If ordered, Hand Sanitizer or Hand Wash Station will be replenished and restocked. 7. Toilet paper dispenser will be restocked with 2 rolls. 8. A Technician will inspect each unit for minor damage or repairs. 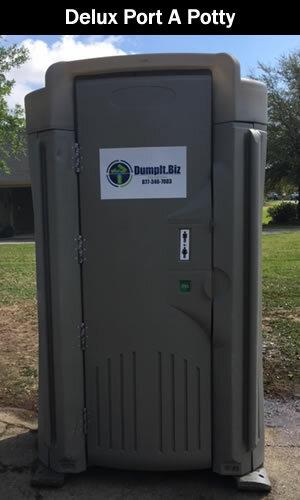 Your Dump It team strives to provide you with an unparalleled level of support, planning assistance, and customer service for any size project or event. We understand the demands associated with a wide range of customer needs including proper planning, reliable service, timely delivery, rapid response, clean like-new restrooms and much more. 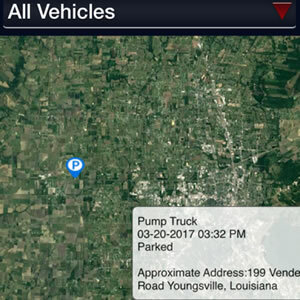 We have the ability to deploy equipment quickly and the inventory to support a large portable toilet project when you need us more.